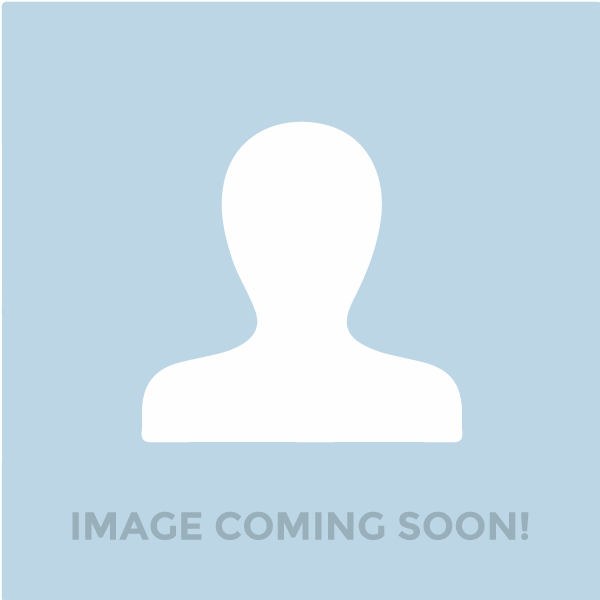 Hover over the pictures below and learn more about our trusted guides. 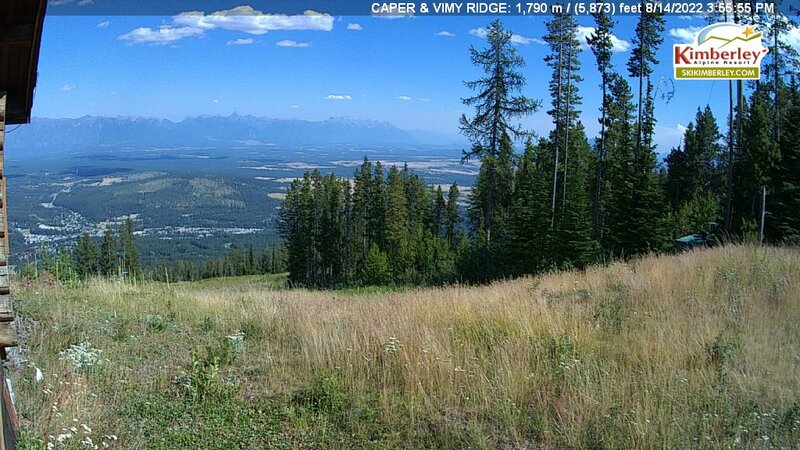 Rob grew up skiing right here at Kimberley! As a youngster, he enjoyed tearing around the slopes and competing in Freestyle Bump Skiing. After competitive skiing, he moved to Calgary to start coaching & teaching. 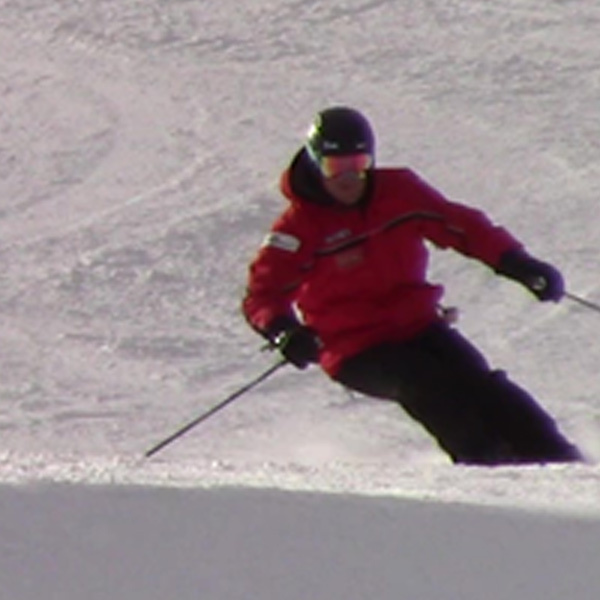 Rob is a CSIA Level 3 instructor and CSCF Level 2 coach with over 20 years of experience. Recently he moved back to Kimberley and works as a part time instructor. Rob would love help you improve your skills and discover all the fantastic terrain at his childhood playground! 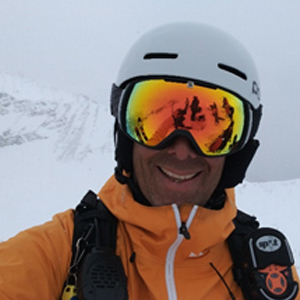 Simon has been working for Kimberley Alpine Resort for 3 seasons, with over 15 years of teaching experience, from Europe to the Canadian Rockies! Simon is a Level 3 instructor and Level 1 course conductor. 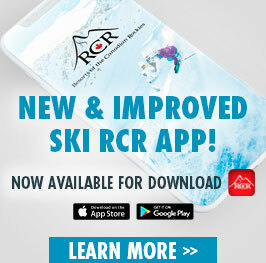 Simon loves showing people new techniques, terrain and giving people the skills they need to tackle all that Kimberley Alpine Resort has to offer. Meet Kevin (aka Skippy) from Kimberley B.C. Skippy originally started teaching in Kimberley in 1989 as both a ski and snowboard instructor - in fact he was Kimberley's first snowboard instructor! After 4 years of training and teaching in 1993 he moved to Whistler to train and race on the Canadian National Snowboard Team. After nearly 25 years of ski / snowboard retirement, Skippy returned to Kimberley for the 2017.18 season, and came back with more passion than ever. Kevin is a Level 2 CSIA certified Ski Instructor and feverishly working towards his Level 3. He prides himself on making sure you have an exceptional client and instructor experience! 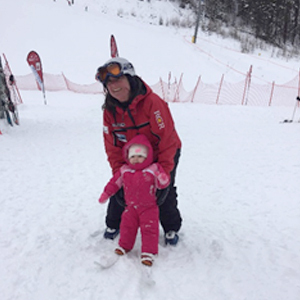 Meet Misty, she has been with the Kimberley Winter Sports School for 5 years, and has over 20 years’ experience as a ski teacher. 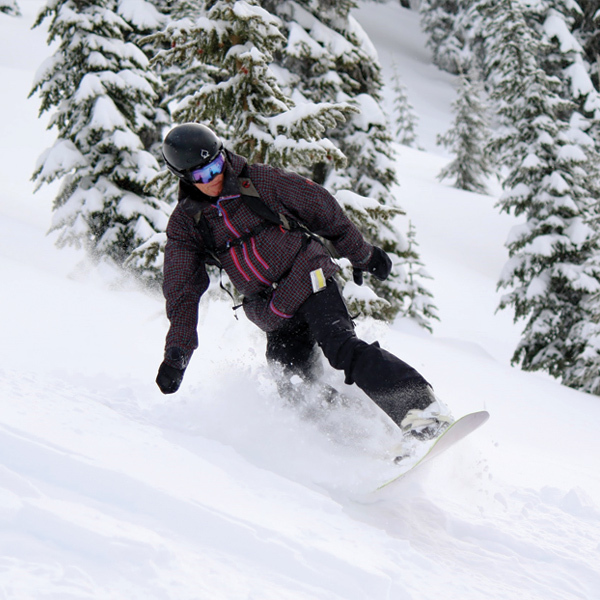 Misty is a Level 2 CSIA ski instructor as well as Level 1 CADS - adaptive ski instructor. Misty strives to make skiing fun for the whole family! Misty loves to teach children, the younger the better and is specially trained to teach students with intellectual disabilities or students that are very timid or scared. 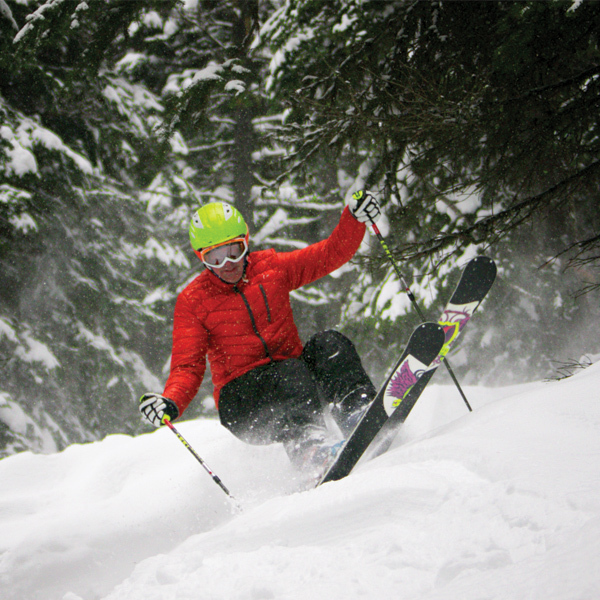 Come ski Misty and let her show you how to love this sport for the rest of your life! James grew up in Halifax Nova-Scotia and started teaching snowboarding in 2001. 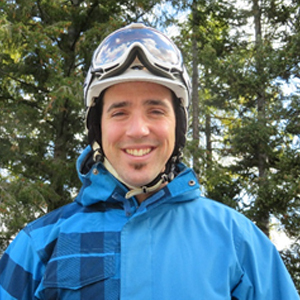 He is a Level 2 CASI certified Snowboard Instructor and Level 1 Park certified. James is starting his second season at Kimberley Alpine Resort Winter Sports School as a part-time Instructor and Supervisor for the upcoming 2018.19 winter season. 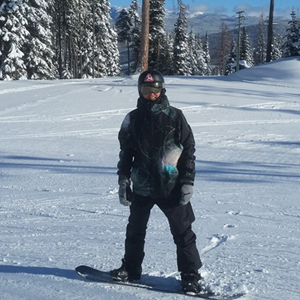 James excels in teaching all-mountain freestyle and helping students achieve personal goals. Whether it's laying out pencil line carves on the groomers, shredding pow through the trees, landing a stylish grab or pulling off that first 360, James can help you exceed your own expectations and take your riding to a new level! 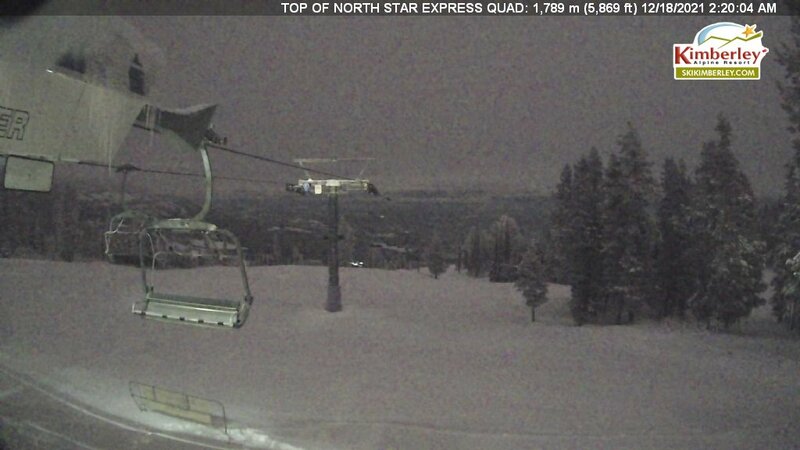 Garry from St. Albert, Alberta, he is a Level 2 CSIA instructor with 27 years teaching experience. 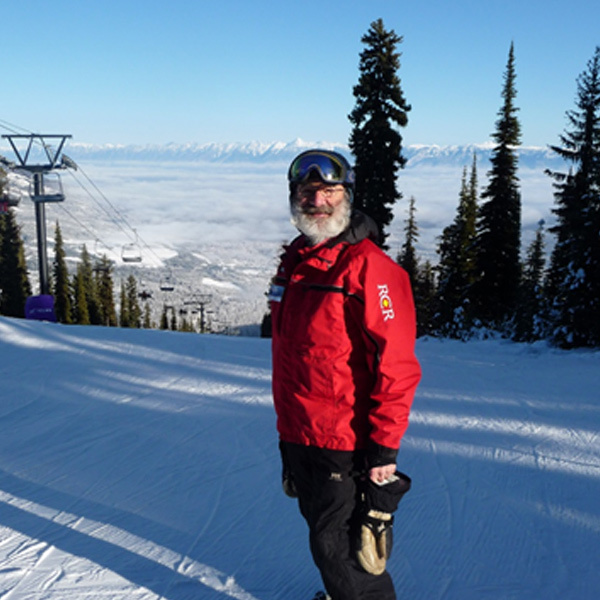 Garry has worked at Kimberley Alpine Resort Winter Snow School for 3 seasons. Garry is extremely patient and specializes in helping guests get over their fears on the hill. Listening to students is a priority with Garry. 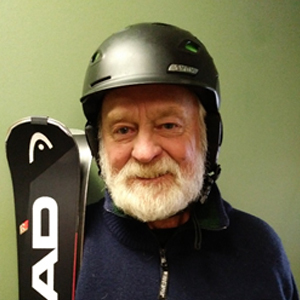 Meet Peter MacDougal, a Level 3 CSIA ski instructor with 35+ years of helping people achieve their goals. Peter will help you start skiing with all the right habits, improve your skills to feel comfortable and have fun on more of the mountain or take your performance up a notch or two. Peter believes in the fundamentals and making things simple, to have more fun when you’re skiing. Skiing and riding for 58 years now, Henk has mostly been riding for the last 25 years. 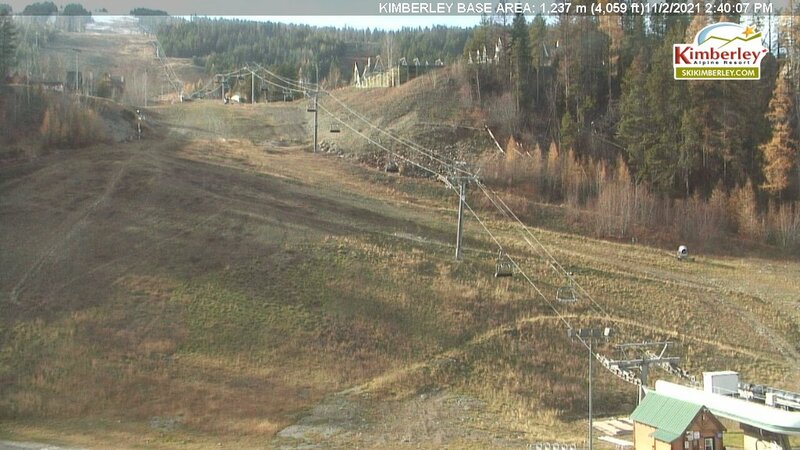 This will be Henk’s third season teaching at Kimberley Alpine Resort and riding the best snow in BC! He is a CASI Level 2 certified instructor and his goal is to keep you riding with style - even into your 80’s! He has found that whatever level you are riding at, there is a little tweak that will improve your performance and fun. While Henk doesn’t have a favourite run at Kimberley yet, he thinks Magma is pretty sweet! Meet David Wilson, one of Kimberley Winter Sports School Top Pro’s and past CSIA Demo Team Member! 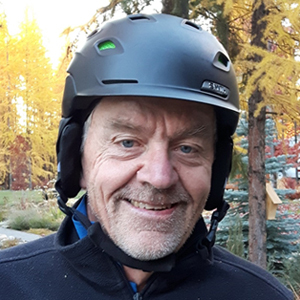 Dave is a Level 4 CSIA ski instructor with over 40 years of teaching and coaching experience, 28 of those right here at Kimberley Alpine Resort. Whatever your ability, Dave loves to share his knowledge and experience to build your confidence. Dave will inspire you to seek new challenges and make your skiing experience fun and enjoyable. 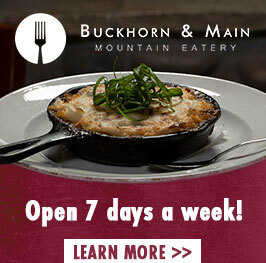 Ben Arons is from right here in the beautiful East Kootenay’s. 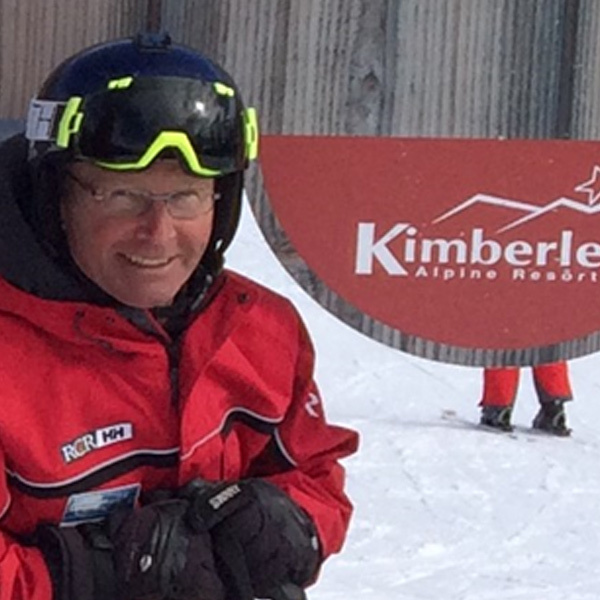 Ben is a CSIA Level 4 ski instructor, with 30 years teaching experience in Canada, Australia and Japan and has been with the Kimberley Winter Sports School since 2000. 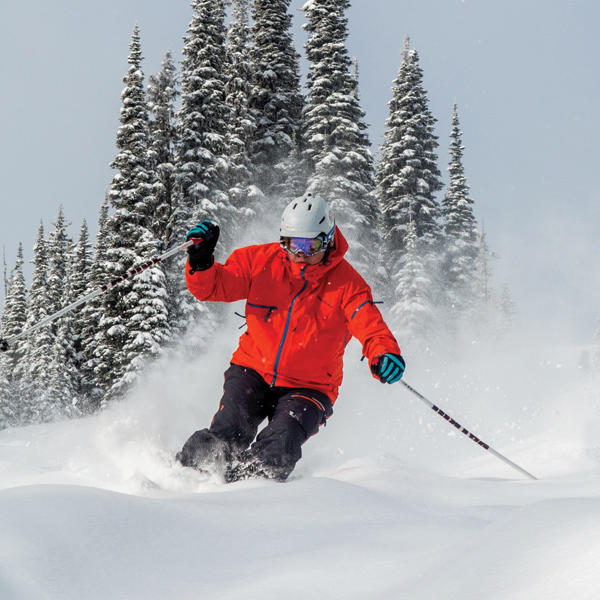 Ben’s approach to teaching skiing is "student centered", focusing on meeting guests skiing goals, keeping them safe, making it fun and challenging guests. Whether it's your first day on skis or you’re a seasoned pro, let Ben show you what Kimberley Alpine Resort has to offer. See ya on the snow! Meet Sean! He was born and raised in Kimberley where he learned to ski and developed a life long passion for the sport. After moving to the Island for a few years he returned to Kimberley in 2007 and has been with the Winter Sports School ever since. He is a level 3 CSIA instructor and has his CSCF Level 1 coaching certificate. Sean prides himself in striving to provide lessons that are going to help develop his guests skiing abilities on step at a time, while having fun and experiencing Kimberley’s incredible scenery! Sean also loves working with all ages and ability levels. Meet Lou (AKA Santa), we like to say Lou is a young skier in a mature body. Lou was a late bloomer to skiing himself and he learned as an adult, this really it helps him understand how new skiers feel. Lou is very patient and specializes in helping adult beginner skiers overcome fears and mental blocks. Lou ski instructing career started over 15 years ago teaching skiing in Trenton, Ontario and has been teaching skiing at Kimberley Alpine Resort for the past 10 seasons. Lou is a CSIA Level 2 and Tracks 3 Disabled Skiing Certified and is working towards his Level 3 CSIA Certification. Lou also enjoys teaching disabled to assist less-fortunate skiers with special needs. 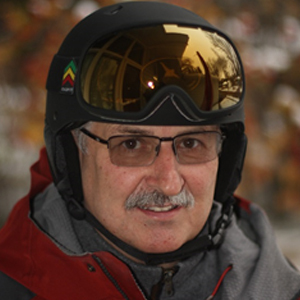 Bill Dombowsk is a retired professional whose passion for skiing has spanned over 3 decades, Bill enjoys sharing this passion with his clients. This is Bills 3rd season working as a Ski Instructor at the Kimberley Winter Sports School. Bill is a certified CSIA level 2 instructor aspiring to attain CSIA Level 3. Bill loves teaching skiing and working with clients of all ability levels, from 1st timers to advanced bumps or glades with powder especially! During your lesson Bill is happy to point out local attractions, inform you about Kimberley history or help you select a great place to dine out.